BriteCore is a fully managed cloud-based insurance software system that combines core, data, and digital solutions into a single suite. BriteCore supports multi-line, multi-state, and multi-location policies for personal, commercial, auto, and specialty lines of business. 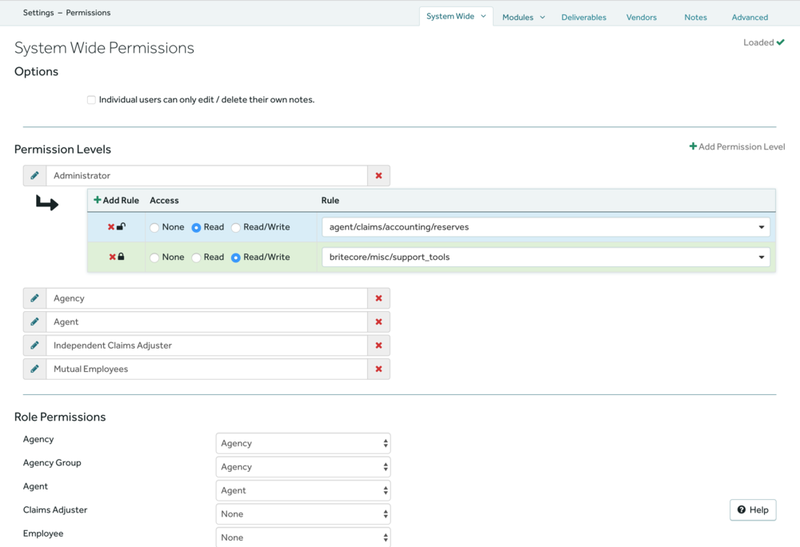 All policy information in BriteCore is accessible via our robust web API, allowing simple integrations with third party vendors who enhance the functionality of our product. BriteCore provides full, end-to-end policy issuance and management functionality including quoting, rating, underwriting, policy generation, and statistical reporting. The entire lifecycle of the policy is managed using convenient interface tools, flexible workflows, and automatic processes that support teamwork and productivity. 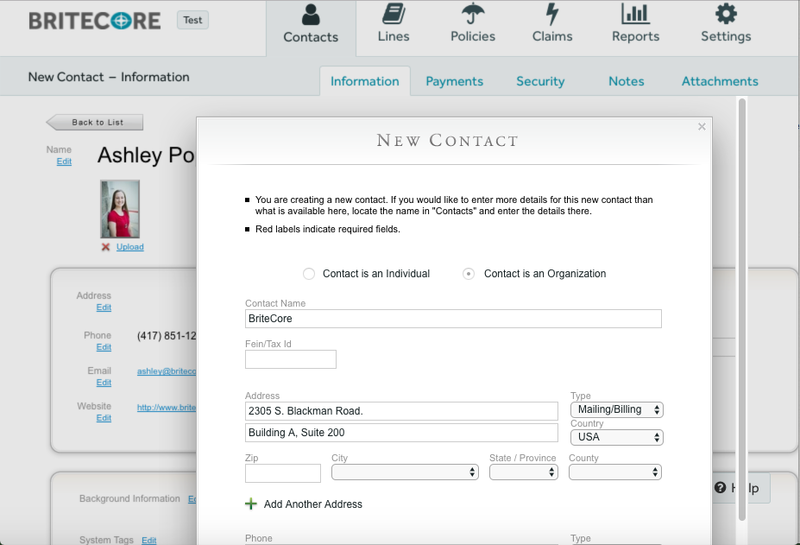 BriteCore combines claims administration and business process management (BPM) to support the end-to-end claims process. From open to close, agents and adjusters work collaboratively and efficiently within BriteCore to process FNOL, establish reserves, upload reports, issue payments, and settle claims. BriteCore features an advanced billing and accounts receivable module that works in combination with payment processing, premium accounting, reporting, and settings to manage the entire billing and payment lifecycle of a policy. Over 6,000 automated system tests run nightly to verify the system balances as expected. BriteCore’s Lines module empowers insurers to define their own products. Business users can easily build coverages, endorsements, underwriting rules, rates, and forms from the ground up. Bulk editing tools increase the efficiency of updating rates and expanding lines to new states, saving you countless hours of configuration time. BriteCore is fully equipped with a contact management system that allows users to view and store information relevant to the individuals and organizations with which they do business. The Contacts module contains listings for insureds, mortgagees, vendors, staff, agents, and more with instant propagation throughout each of the core modules. BriteCore manages the full document lifecycle from generation to printing. BriteCore generates both custom and standard documents based on system events, indexes and images documents with the appropriate policy or claim, and automatically delivers the document via print or email. BriteCore's comprehensive settings module provides tools to customize your BriteCore experience. Settings tailor every aspect of the BriteCore experience, including billing schedules, quoting workflows, permissions and much more. Configure system preferences, appearance, and messaging to meet the unique needs of your business.